2017 წლის 4 ოქტომბერს, ასოციაცია „მშვიდობიანმა და საქმიანმა კავკასია“-მ (ამსკ APBC) და მისმა პარტნიორმა ორგანიზაციამ თბილისში „საზოგადოება მომავალი თაობისათვის“ (SFG) ევროკავშირისა და გაეროს განვითარების პროგრამის ერთობლივი ინიციატივა COBERM III-ის მხარდაჭერით 2016 წლის 15 აგვისტოს დაწყებული 14 თვიანი სამედიცინო ჰუმანიტარული პროექტის „დავძლიოთუნდობლობადავაშენოთმშვიდობა“-ს ფარგლებში ჩატარებული კვლევების პირველადი შედეგების პრეზენტაცია მოაწყვეს . იგი ჩატარდა საქართველოს პარლამენტის ილია ჭავჭავაძის სახელობის ეროვნული ბიბლიოთეკის საკონფერენციო დარბაზში. ღონისძიებას პროექტის მენეჯმენტის გარდა ესწრებოდა 60 ადამიანი: შერიგების სამინისტროდან, საქართველოს პარლამენტიდან, საერთაშორისო ორგანიზაციებიდან, არასამთავრობო ორგანიზაციებიდან, ასევე პროექტის ბენეფიციარები აფხაზეთიდან და სამხრეთ ოსეთიდან . ღონისძიების მიზანი იყო- აღნიშნული პროექტისა და მის ფარგლებში ჩატარებული კვლევის შესახებ საზოგადოების ინფორმირება და მიღწეული შედეგების შეფასება, ასევე პროექტის მიმდინარეობის პროცესში გამოვლენილი პრობლემების გადაჭრის გზებზე მსჯელობის ინიცირება. ეს მიზანი ძირითადად მღწეული იქნა. დამსწრე საზოგადოებას ეცნობა, რომ ბოლო 14 თვის განმავლობაში 555 აფხაზ და ოს პაციენტს, ქუთაისსა და თბილისში მიეწოდა კვალიფიციური სამედიცინო სერვისი. ამასთან, როგორც პაციენტებს, ასევე მათ თანმხლებ პირებს გაეწია ლოჯისტიკური და სხვა სახის საჭირო მომსახურება. ღონისძიების მონაწილეების მიერ მაღალი შეფასება მიეცა პროექტის შედეგებს, მის დიდ გავლენას ნდობის და მშვიდობის მშენებლობაზე. აქვე ხაზი გაესვა იმ პრობლემებს, რომელთა დროული გადაჭრა, კიდევ უფრო აამაღლებდა ამ პროექტისა და საერთოდ , საქართველოს მთავრობის რეფერალური პროგრამის ეფექტურობას. პრეზენტაციას ესწრებოდა და იღებდა „ სტუდია რე“. 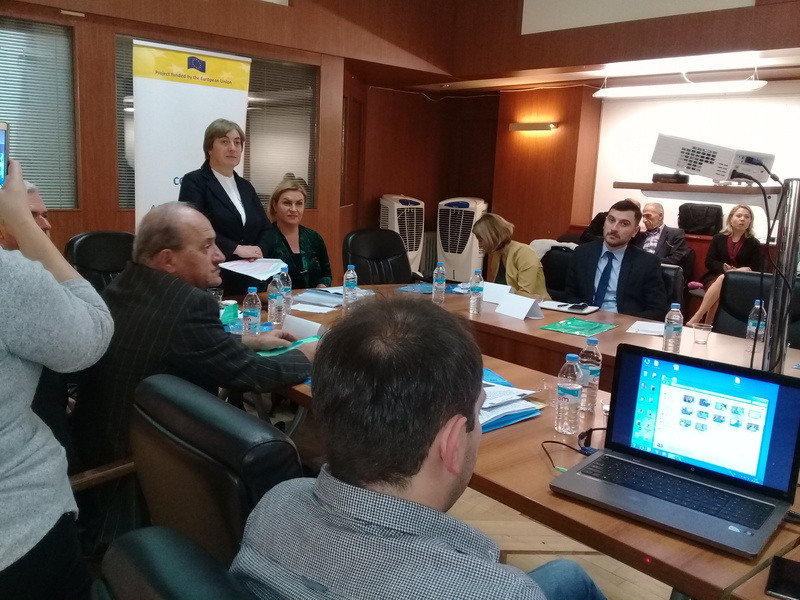 On 4 October, 2017 association “Peaceful and Business Caucasus” APBC and its partner organization in Tbilisi “Society for Future Generation” with the support of EU and UNDP joint development initiative COBERM III organized the presentation of primary results of the study conducted within the framework of medical humanitarian project “defeat mistrust and build peace”. Presentation took place at Ilia Chavchavadze National Library Conference hall. 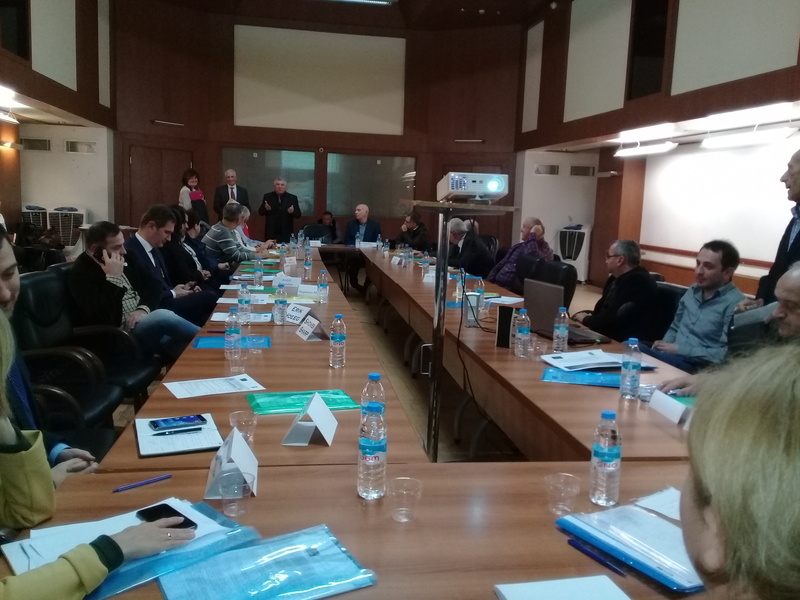 Apart from Project management, 60 people attended the event: from the ministry of reintegration, from Georgian parliament, international organizations, representatives from NGOs and beneficiaries from Abkhazia and South Ossetia. The objective of the event was informing society about the results of the study, assessing already accomplished results, also initiating discussion about solving several problems. These objectives were achieved. Present society was informed, that 555 patients from Abkhazia and South Ossetia received qualified medical care, as well as logistic and other kinds of the services. Event participants positively evaluated study results and admitted its role over peace and confidence building. Problems were identified; solving them would further increase the efficiency of this project and generally the efficiency of Georgian government referral program. Presentation was recorded by “Studio Re”. 2017 წლის 15 ოქტომბერს ქ. თბილისში, ევროპის მოედანზე აფხაზეთის სავაჭრო -სამრეწველო პალატის ეგიდით ჩატარებულ გამოფენაზე მონაწილეობდა ქუთაისიდან სსიპ „აფხაზეთიდან იძულებით გადაადგილებულ პირთა სტაჟირების, კვალიფიკაციის ამაღლების და დასაქმების ხელშეწყობის ცენტრი „ბიზნესინკუბატორი“. გამოფენაზე გატანილიყო „ბიზნესინკუბატორში“ განლაგებული პარტნიორი კომპანიების პროდუქცია და ის ბიზნესპროექტები, რომელთა განხორციელება შესაძლებელია „ბიზნესინკუბატორში“ არსებულ საწარმოო ფართებზე და მის მიმდებარე ტეტიტორიაზე. ასევე, გამოფენაზე მონაწილეობა მიიღეს აფხაზმა მეწარმეებმაც. ისინი გამოფენის ვიზიტიორებს თავად აგემოვნებინებდნენ აფხაზეთში მათ მიერ წარმოებულ პროდუქციას. 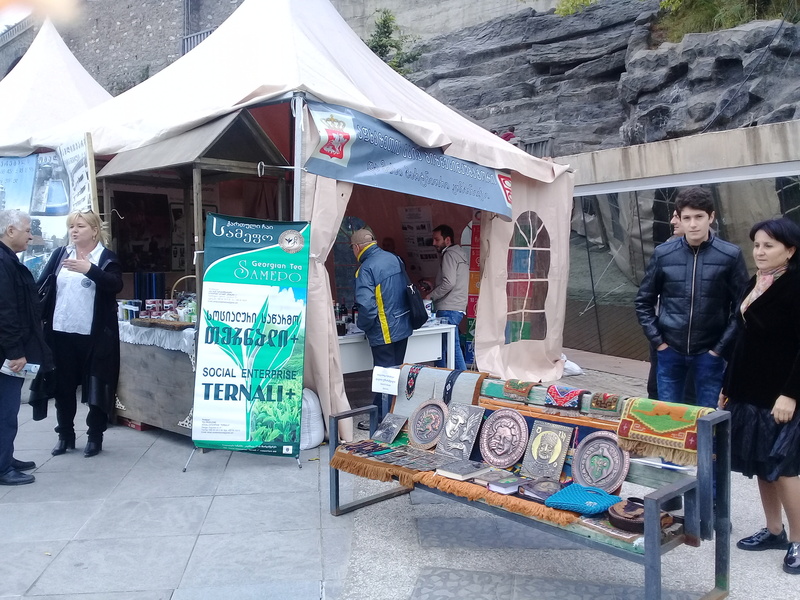 On October 15, in Tbilisi, in the square of Europe, an exhibition was held under the aegis of the Chamber of Commerce and Industry of the Autonomous Republic of Abkhazia. In this exhibition, the Center for Internship, Enhancement of Qualification and Employment for Persons Forcibly Displaced from Abkhazia (Business Incubator) took part. At the exhibition, were presented products of partner companies which are located on the territory of the Business Incubator, and Business projects, implementation of which is possible on the industrial sites of the Business Incubator and in the nearby area. 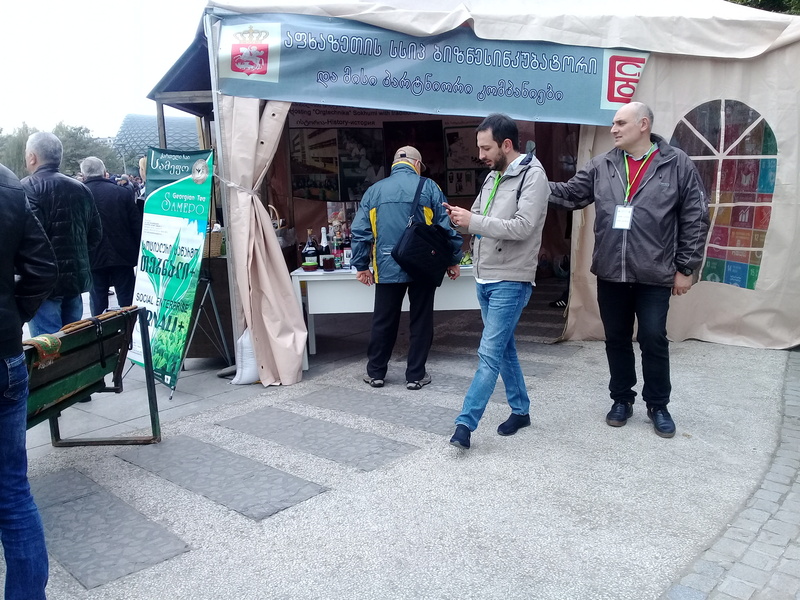 Also, Abkhaz businessmen took part in the exhibition. They themselves acquainted visitors with their products. – სპეციალისტი მარკეტინგისა და ექპსორტის საკითხებში. ორგანიზაციის მისიის ფარგლებში, პროექტების წერა ქართულ, ინგლისურ ენებზე და ფონდების მოძიება! შერჩევა და გადაწყვეტილების მიღება დასრულდება მე–3 კვირის ბოლოს. შერჩეულ სპეციალისტებთან კონტრაქტი გაფორმდება 3 თვიანი სტაჟრებისა და გამოსაცდელი ვადის შემდეგ. ევროკავშირისა და გაეროს განვითარების პროგრამის ერთობლივი ინიციატივა COBERM-III-ის მიერ მხარდაჭერილი სამედიცინო პროექტის - „დავძლიოთ უნდობლობა და ვაშენოთ მშვიდობა“ მიმდინარეობასთან დაკავშირებით, მისი განხორციელების II ეტაპზე (2016 წლის 16 ნოემბრიდან 2017 წლის 15 მარტამდე) ამსკ-მ და თბილისში მისმა პარტნიორმა ორგანიზაციამ „საზოგადოება მომავალი თაობისათვის“ (SFG) კვალიფიციური სამედიცინო მომსახურება (კონსულტაციები, გამოკვლევები და მკურნალობა) გაუწიეს აფხაზეთში და სამხრეთ ოსეთში მცხოვრებ, ძირითადად საქართველოს მოქალაქეობის არ მქონე 167 პაციენტს. ამ პერიოდში, ქუთაისში აფხაზი პაციენტების მონაწილეობით ჩატარდა შეხვედრები, დიალოგი და მასტერ-კლასები ცხოვრების ჯანსაღი წესის დანერგვის, რაციონალური და სრულფასოვანი კვების საკითხებთან დაკავშირებით. ასევე, ქუთაისში აფხაზ პაციენტებს ჩაუტარდათ გამოკვლევები უჯრედოვან დონეზე ფუნქციური კვლევის მეთოდით და მათ სამახსოვროდ გადაეცათ ბროშურები: „ჯანმრთელობის საიდუმლო“ და 2017 წლის მთვარის ასტროლოგიური კალენდარი. აფხაზ/ოს პაციენტებს ხელი ეწყობათ ქართულ მხარეს მყოფი მათი ნათესავების, ყოფილი თანამშრომლების, ძველი მეგობრების, მეზობლების გამოძებნა-დაკავშირებაში. მათი სურვილის შემთხვევაში ეწყობა ექსკურსიები და კულტურული ძეგლების დათვალიერება. დაწყებულია მუშაობა აფხაზი და ოსი პაციენტებისთვის ქართულ საზოგადოებაში სოციალური ფილანტროპიის განვითარებისა და სამედიცინო მომსახურების ალტერნატიული ფინანსური რესურსების მოძიება/მოზიდვაზე. During the II stage (from 16 November 2016 to 15 March 2017) of Medical project "Defeat Mistrust and Build Peace" beingimplemented with support of European Union and UN Development program initiative COBERM, APBC (Association for the Peaceful and Business Caucasus) and its partner in Tbilisi SFG (Society for future Generations) provided qualified medical services (consultations, diagnostics and treatment) to 167 residents of Abkhazia and South Ossetia, who do not have Georgian citizenship. During the mentioned period, we organized meetings, dialogues and master classes about healthy lifestyle, rational and balanced diet. In addition, patients in Kutaisi received medical examination on cellular level, with function test method and they received brochures: "Secrets of Health" and 2017 astrological moon calendar. Abkhazian/Ossetian patients receive our support if they try to find and revive relationships with their relatives, old colleagues, old friends, neighbors etc. In case beneficiaries express their interest, we organize excursions to visit cultural heritage sites. 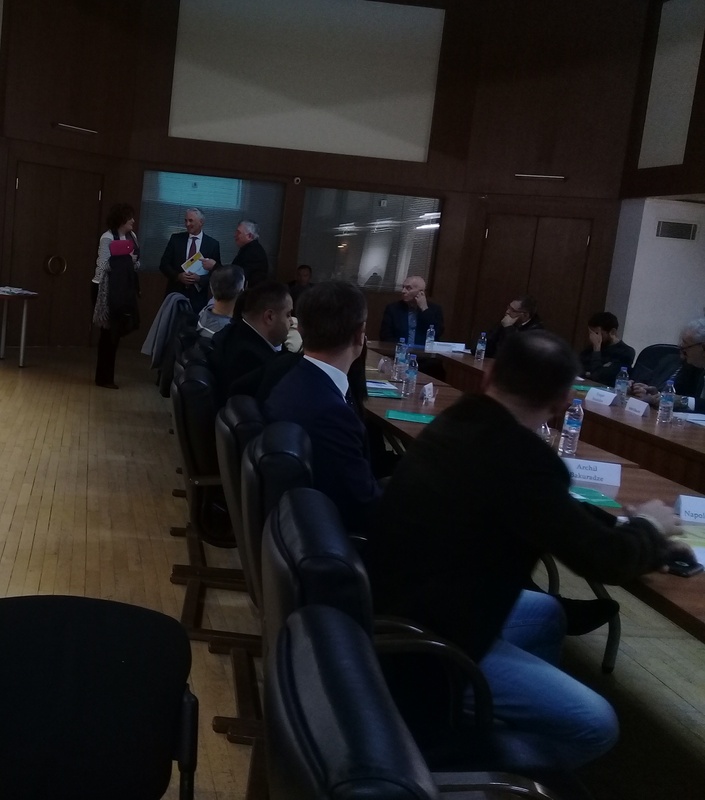 We have begun our work to develop social philanthropy in Georgian society for Abkhazian and Ossetian patients and to find alternative funding for medical services.